Our vintage lace design in ivory is always timeless and elegant and will add that special look to your wedding tables. The ivory box features delicate ivory lace and ivory pearls finished with a vintage rose to match your wedding colours. 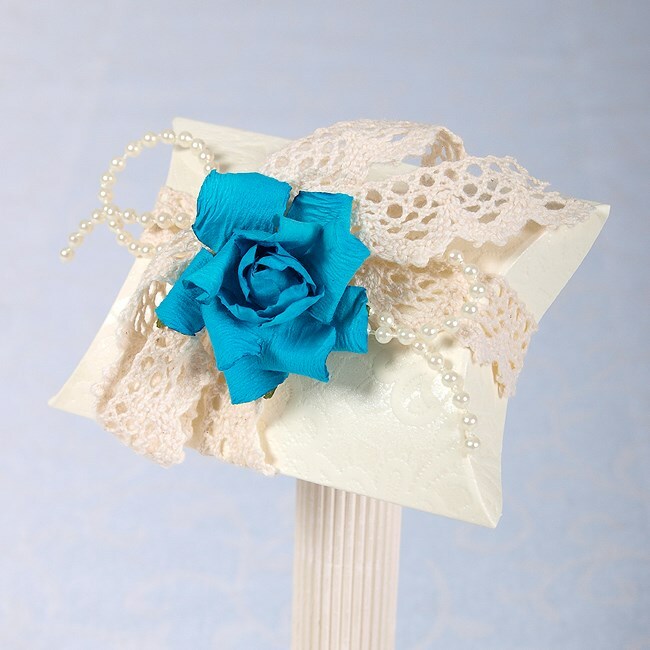 Your guests will have a beautiful keepsake of your "special day''. These wedding favours come ready made.